How a name can be tossed around and misused does not raise my eyebrows, gimmicks and marketing schemes are probably the reason why things like this happen. Anyway Houdini if you don’t already know has made escapes from as almost all types of restrainers of his time, also famed for tricks his name is synonymous with the art of appearing or disappearing at any moment, so I was intrigued for a wine opener to be named Metrokane Houdini Lever Style Corkscrew, would it make the cork or my patience vanish? The unit is made of plastic, with the exception of the gears and some internals being made of metal, this is quite disappointing as I tend to feel uneasy with plastic wine openers; this one on the other hand seems a little more durable than those cheap ones that feel as if they would certainly break if you were to handle them carelessly. 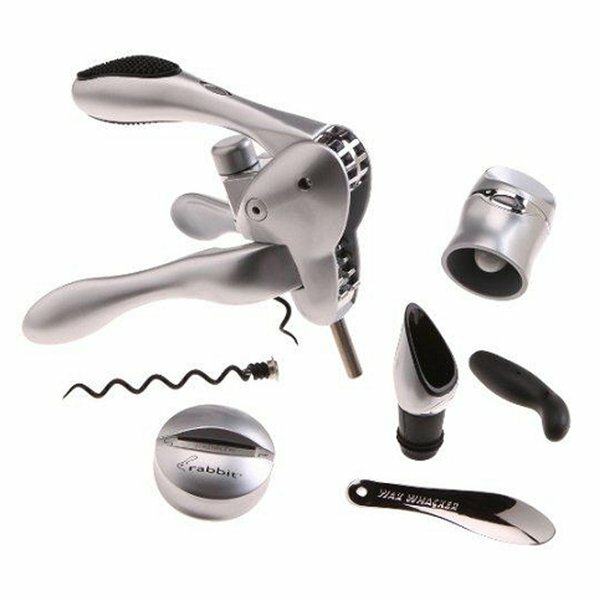 The mechanics are fairly simple, just like the prestigious rabbit of the same brand, this Metrokane Houdini Lever Style Corkscrew removes corks with ease, the grips are not fantastic but they work well with all wine bottles. The worm is nothing special but it gets the job done, it burrows effortlessly into the cork. Pulling the cork out did not prove to be any more difficult than it was to bore the worm in, with a simple lift the bottle is opened. 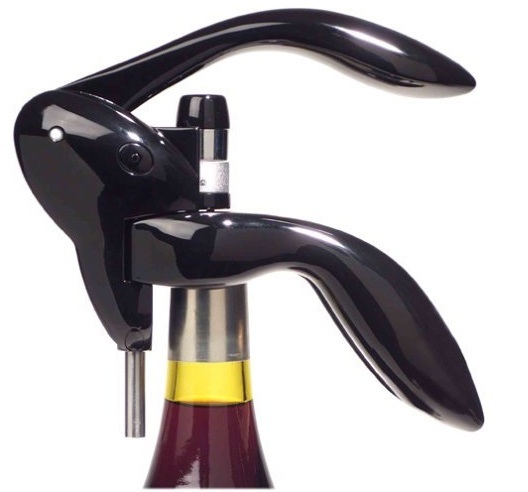 After a few uses the opener began to act in a way that was at first tolerable but later on it would prove to be very irritating, first problem that was to show itself was the bottle neck grips, they don’t hold well and would slip off, leading to either a broken cork or some minor damage to the worm. The worm if used carelessly will lose its twist; you can replace this as separately sold worms are available. The gears will start to slip and break after awhile which will make it weaker and harder to use. The worst case scenario for this opener would be when the cap that holds the worm and its gears decides to have an early retirement, which would lead to a useless big piece of plastic that used to be your wine opener. 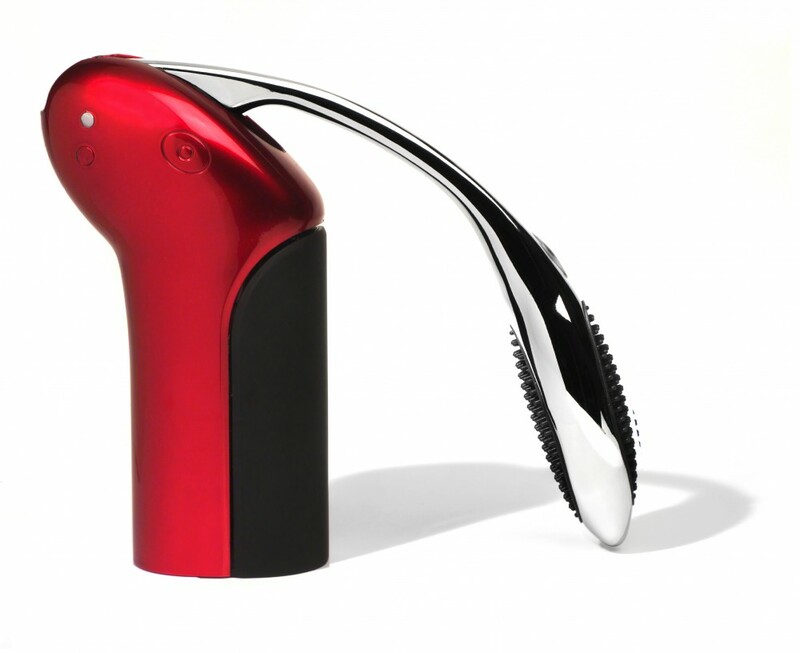 This Metrokane Houdini Lever Style Corkscrew may be backed by a good brand, but honestly it does not reach to Rabbit standards, it’s a great butterfly opener, but flimsy build and poor manufacturing appears to be reason to its shortcoming.